Why You Should Switch to WordPress For Your Business? Why You Should Switch to WordPress For Your Business? – MillionClues! Home › Guest Posts › Why You Should Switch to WordPress For Your Business? Why You Should Switch to WordPress For Your Business? Introduced to the market in the year 2003, WordPress currently has become one of the most sought content management systems across the world. This open source software currently is used as a backbone to 74 million sites worldwide and the number appears to be nowhere decreasing. If you are someone who is just starting a business or someone who is entirely new to the world of websites and webpages, WordPress allows you to quickly develop a website which acts as a face to your business. Below we mention few reasons why investing in WordPress is the best decision you can take for you business. Whether you are an experienced professional or are simply a newbie blogger all the services of WordPress are available to you completely free of cost. With this CMS (Content Management System) you needn’t worry about any additional cost or hidden charges. Even if your website becomes popular and you start attracting millions of traffic the WordPress will be entirely free for you to use. One of the other great things about this CMS is the ease of functionality which it offers. With WordPress, you get almost all basic features and plug-ins pre-installed, and all you are required is to install WordPress and work smoothly and comfortably. You can start working the right way and will not be required to waste time finding the setting and plugins for options such as comments, RSS feed etc. Since the launch of the WordPress in the year 2003, there have been numerous add-ons developed and made available in the market. Now you can freely customize your WordPress site according to your requirements and needs. Simply go to your WordPress account, click on ‘Appearance’ and then ‘customize’ and you will have in front of you a number of websites outlooks which you can use. If this is not enough then you can download and use a number of plugins which are available online to add numerous other special features to your already existing website. One of the best factors to consider WordPress for your business is the support it offers. WordPress is known to have an extensive community of developers and tech experts where you can get almost any of your query resolved. Popular websites such as that of LegoWays has been powered by WordPress and the when asked about the service the owners did not have anything but appreciation for WordPress. Majority of the world now browses through the internet world using their mobiles. Therefore, your business website should be made in a way that it caters the needs of not only the desktop users but also does cater the requirements of mobile audiences. With WordPress, you do not need to worry about this. The WordPress websites are already optimized to run smoothly as well as be responsive to the designs available on mobile. Hence getting WordPress you won’t be required to spend any additional cost on hiring a developer for building you a responsive website. A platform this popular attracts a number of hackers who do think of WordPress as their practice ground. 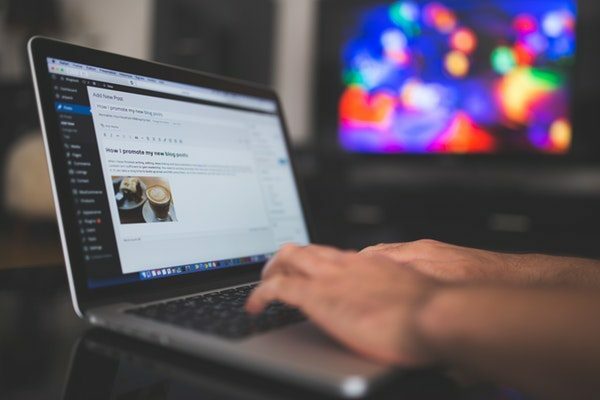 Taking this into consideration WordPress does have very stringent rules and safety measures in place which protects your website at all times. While WordPress does keep on updating its backend with latest security updates it also provides you an option to add additional plugins for added security. One of the other great things about WordPress is it allows integration with popular platforms as well as payment gateways, hence saving you hours of time and work. If you are planning to start an e-commerce business then WordPress might be the great choice for you. These 7 reasons we believe are sufficient enough to convince you of using WordPress for your business. If you already have a WordPress website running for your business, do mention about your experience with it in the comment section below.